I am involved in numerous projects, but my main research projects are lymphocyte involvement in chronic rheumatic diseases and immune processes locally and in lymphoid tissue. 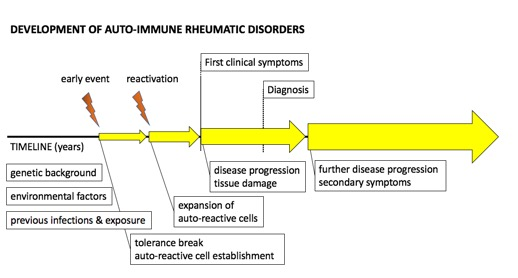 In many auto-immune rheumatic diseases, there is a strong involvement of the adaptive immune system, manifesting as autoreactive lymphocytes and autoantibodies. Most cells in the immune system do not operate separately but interact with surrounding cells and tissues. The focus of the research project is to uncover the some of the details of lymphocyte populations, locally and systemically, their interaction and contribution to disease development. Using an established and well-characterised cohort of primary Sjögren’s syndrome patients have been central in these studies. Disease development in Sjögrens syndrome and related diseases. The disease can start many years before the symptoms appear, and it can take years to establish a diagnosis. We don't know how these diseases develop, but multiple factors are involved, and we have no effective cure other than symptomatic relief/treatment. Germinal centre. Ectopic germinal centre formations are observed in minor salivary glands (exocrine glands) from patients with Sjögren's syndrome. 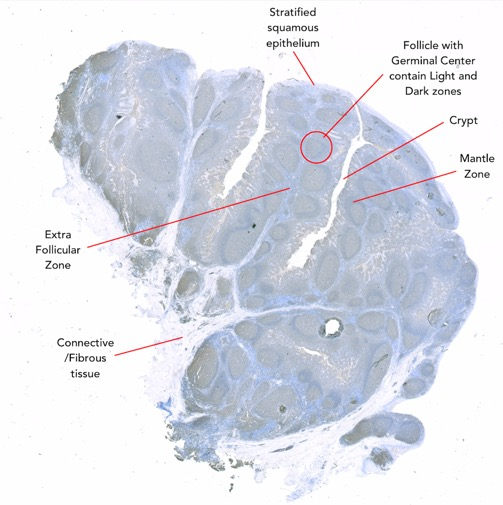 Important immunological processes are performed in germinal centres and for Sjögren's syndrome patients may be an area where the disease is triggered and progressing. 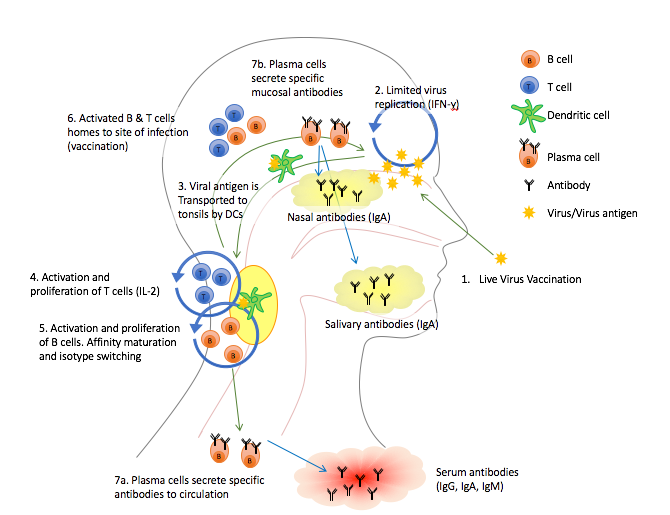 Influenza Vaccination, Mucosal Immune Responses and Tonsils. Vaccination with live attenuated influenza virus (LAIV) vaccine. The LAIV vaccine gives local and systemic immune response, with high acceptance, well tolerated and few severe adverse effects. 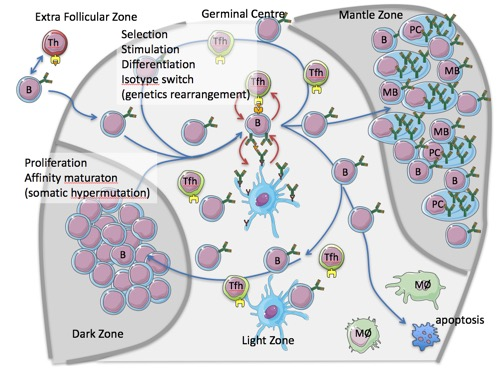 Many important cell interactions and immune processes are initiated locally and in lymphoid tissue. When evaluating the efficacy of e.g. Vaccines, the testing is often performed systemically, while the protection is a local process. Over several years, we have conducted influenza vaccine studies. This has given us a unique opportunity to observe the immune response both systemically and locally, in children and adults after vaccination. Vaccination with live attenuated influenza virus resembles a natural infection, revealing information that can be transferred to many other infectious diseases. The anatomy of the palatine tonsils.